In Australia, patios and shade sails are known to be incredibly popular and it’s easy to understand why given how much Aussies love the outdoors. However, with the serious concern on UV rays, it is important to ensure you and your loved ones stay cool and protected. With properly installed shade sails, your family will have more reasons to enjoy your outdoor space. When it comes to outdoor shade structures, there are so many options you can consider. The important thing is to do some research to make a more informed decision. Of course, you can also seek expert advice from a known Gold Coast shade sails supplier in Australia, such as Coastwide Shade Sails. When choosing the design of your outdoor shade structures, the most important thing to take into account is to measure the area you want to shade. Keep in mind that shade sails do not have straight edges, which means the shaded areas will be curved. With this in mind, you need to make sure your outdoor shade structures will be large enough to give enough shade cover for your desired area. So, it would a good idea to have the right measurements first before going to a supplier. Another key consideration is the anchor points. When it comes to ensuring the sturdiness and longevity of your shade sails, you need secure structurally stable anchor points. If your patio doesn’t have trees, you may need to set up support posts that you will use to attach the anchor points. With your outdoor shade sails Gold Coast, you also need to put importance on the choice of colours, as it basically affects the shade it offers. For optimum protection from the sun, you should consider getting darker shade sails as they work better in blocking the sun’s UV rays. Coastwide Shade Sails has a huge selection of premium quality shade fabrics that can provide up to 99% UVR protection. The Gold Coast weather offers a number of reasons why it makes sense to invest in waterproof shade sails. Aside from enhancing your home’s aesthetics, shade sails offer good shade and protection so you and your loved ones can better enjoy your home outdoor space. While shade sails are available in a variety of materials, not all are designed with waterproof shade cloth construction. If you are looking to invest in a shade sails with the best possible durability, you will want to ensure to choose one built to be resistant to water. It can be quite frustrating to invest in an outdoor covering that will not be able to give you ample protection and shade. It is a given that Gold Coast shade sails should be able to withstand the harsh elements, otherwise, it will just be money down the drain. Ideally, you will want to look into the vast selection of waterproof and UV resistant outdoor shade sails available at Coastwide Shade Sails. Make sure to take time and inspect the quality of the material to ensure maximum protection and longevity. When it comes to the choices on waterproof shade sails, consider the ones made of finest and high-quality PVC shade sails material, which is a popular option because of its tensile strength. This material can be stretched without compromising its ability to provide protection against harsh weather conditions. 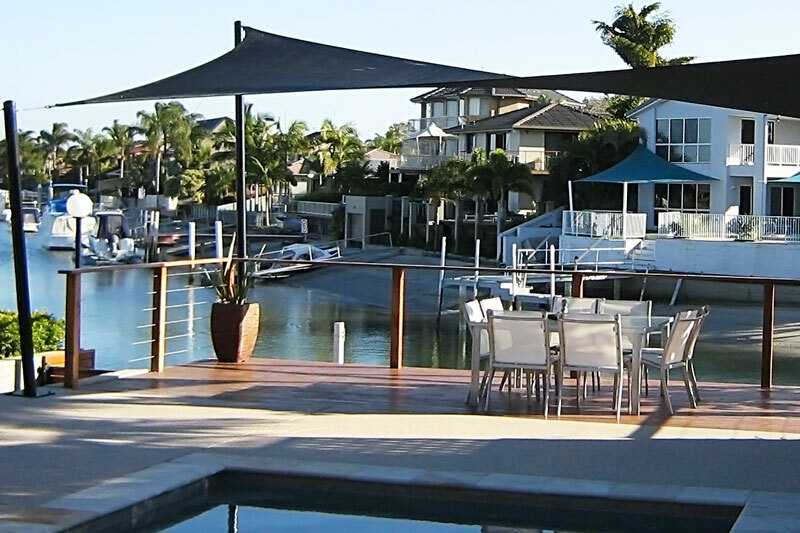 Shade sails on the Gold Coast are not only known for its great designs, they are known to deliver both in form and function. Enhance your living space with a myriad of colours, textures, features, and designs to choose from. Take time to talk to a Coastwide Shade Sails sales agent to help you meet and determine the best options for your specific requirements and preference. When it comes to updating your outdoor space, adding or changing your awnings and blinds in Queensland, along with investing in shade sails, present a perfect solution. Not only will it enhance your exterior, these have been proven to be highly functional additions to any residential property. But with a wide range of blinds and awnings to choose from, the seemingly simple task of choosing a particular colour can prove to be quite daunting. The first consideration should be the existing colour of your home exterior. You need to make sure it blends well with your exterior’s colour scheme and not stick out like a sore thumb. With this in mind, it is always a good idea to stick to neutral colours like cream, beige or white, as they are always the safest options for blinds and outdoor awnings. However, if you prefer for bolder hues, choose colours that can accentuate your exteriors. As a rule of the thumb, darker colours work well with larger rooms and lighter hues for limited spaces. 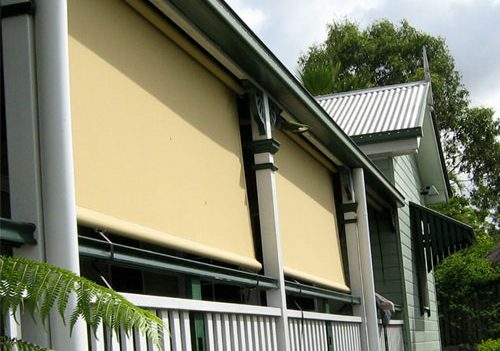 When choosing your awnings and blinds, determine the main purpose of your investment. Will it be used to protect your home from the scorching heat or inclement weather or to provide additional protection for your furniture? In general, people install exterior shades to block the harsh sun before it hits the window. This approach can effectively help in cooling down the temperature, making it a great investment especially during hot summer days. Whatever the purpose may be, keep this in mind when weighing your options. Go for dark fabrics to reduce the sun’s glare and reduce intense heat absorption. If you are looking to enjoy greater privacy, you may want to opt for weaved fabrics. PVC blinds and mesh fabrics also present popular choices among residential owners. When it comes to choosing shade sails on the Gold Coast, you don’t simply consider the brand, but more importantly, the type of materials used, and part of those are PVC Sails and membranes. 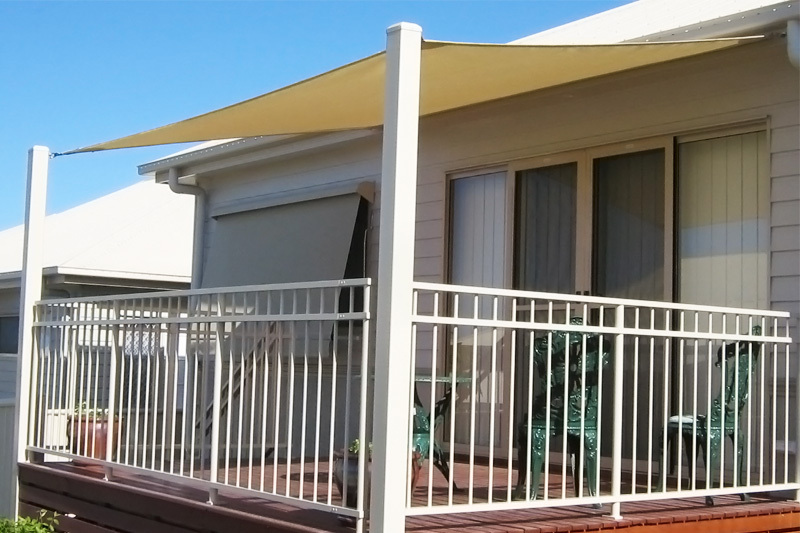 With the serious health risks that come with direct sun exposure, shade sails have been widely recognised as a practical investment for most Australian homes. Among the pioneers of shade sails Gold Coast is Coastwide Shade Sails, which offers a wide variety of shade sail materials you can choose from. Among the popular picks are the PVC sails, mainly due to its waterproof material. PVC shade sails are mainly made of polyester weave coated with PVC on both sides. This allows the fabric to provide optimum weather protection. In most cases, plasticizers are added to allow the material better flexibility, making it easier to install and handle. PVC fabrics are available in various grade of tension strength, weight as well as tear strength. On average, PVC shades can stand up to 10-15 year lifespan and some are known to last for 20 years with proper maintenance and care. If you are looking for lightweight and sturdy shade sail structures, consider choosing tension membranes, which can be designed to span across large distances. This material can also be designed and shaped to specific preference and requirements. Among the popular options are translucent membranes as it allows the natural light to permeate, which significantly reduces the need for artificial light during daytime. During nighttime, lighting can be bounced off by the shade’s reflective fabric, which results in the reduction in the energy consumptions through the use of low-wattage lighting. In summary, PVC Sails and membranes are widely preferred when it comes to Gold Coast shade sails for its lightweight construction, flexibility, and durability — qualities that are highly valued when investing in a shade sail. As you may already know, there are a wide variety of waterproof shade cloth Gold Coast on the market today to make-up shade sails. For instance, from the leading brand Coastwide Shade Sails, with hundreds of materials, shapes, and colours to choose from. The simple task of deciding which one is the best one for you can prove to be quite daunting. When it comes to choosing shade sails, keep in mind that each one has its strengths and weaknesses. The key thing to remember is to consider your specific requirements and not simply rely on the design or colour. The choice of material is a critical consideration when choosing a shade sail on the Gold Coast. Why should you consider choosing a waterproof fabric for your shade sails? Below is some basic information you need to know about this variety. Firstly, waterproof shade sails are capable of blocking out varying amounts of direct sunlight. If you want maximum coverage, keep in mind that the darker the colour, the more shade it offers. In addition, this type of material also provides protection from the harmful ultraviolet radiation. Again, like shade, the darker the colour, the more protection it can provide, with some by as much as 98%. A small downside of waterproof shade sails is the fact that it can prevent some of the airflow because of its thick fabric construction. However, compared to the traditional metal roof, it is considerably cooler. Last but not the least, waterproof fabric prevents water from seeping through the fabric. However, when choosing one, you need to take into account the design. Choose one that will not allow water to ‘pool’ on top of the fabric. And like with any shade sails, it will not provide you optimum protection from heavy rains and it can still blow in from the sides. Consider choosing a waterproof vinyl variety, which is popular because of its lightweight fabric and durability. It is available in a wide variety of colours and shapes as well as it normally comes with a warranty. Make sure to check with your sales agents before you make the purchase. 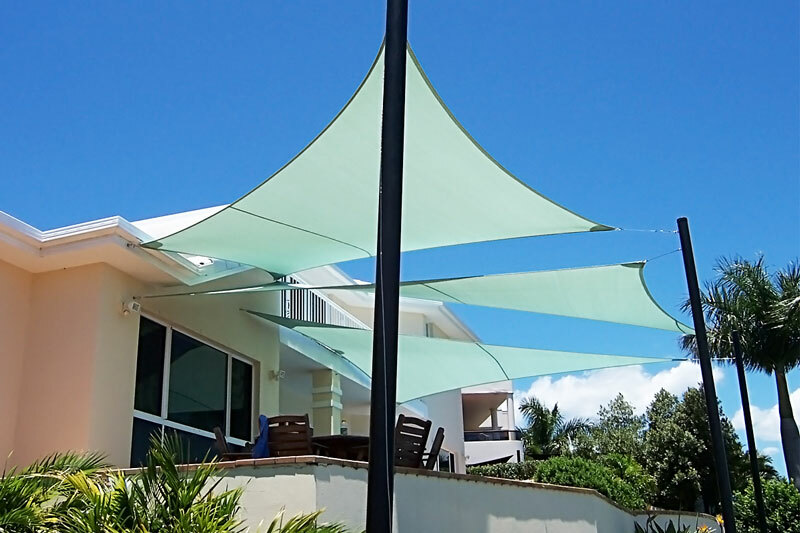 Australia is famous for its great weather and the best way to enjoy your outdoor space is by installing shade sails Gold Coast. If you want to spend more time with your family outdoors instead of staying cooped up inside the house, seriously consider investing in an outdoor shade sails patio from a known brand like Coastwide Shade Sails. If you want to protect your outdoor furniture from direct exposure to sunlight, installing a shade sail provides an ideal solution. This is especially useful during hot summer months. Some shade sails offer UPF 50+ protection against the ultraviolet rays. This means you can enjoy the outdoors without worrying about nasty sunburns and faded furniture. There are also waterproof shade sail materials available if you also want to ensure that water will not seep through the fabric. During humid days, we are often forced to constantly turn on the air conditioning to cope with the heat. With a shade sail, your family can still enjoy the outdoor space instead of forcing everyone inside the house and causing the power bill to hike up. With so many shapes, colours and patterns to choose from, you are sure to find a shade sail that will best complement your home exterior. Whether you want to add a modern pop of colour and accentuate your home or business exterior or find a more sedate colour that can easily blend it with the rest of your design, you can ask assistance from a Coastwide shade sails to help you out with the selection process. If you are looking for a quick, effective and inexpensive way to update and transform your exterior, you can definitely count on a shade sail to do just that. In addition, this can add value to your property in the long run, which is far beyond what you can expect from such modest investment. While these are just a few of the great benefits of shade sails, it is easy to understand why it makes today sense to invest in one today. How big is your yard? As you may already know, shade sails come in a wide variety of shapes and sizes. By taking the time to determine the size of your yard, you can whittle down your options. Ideally, for large spaces, a rectangle or a square shade offers better coverage, which triable and unique shapes are best for smaller spaces. How much shade do you require? The size of your backyard may not necessarily reflect just how much shade you require. Do you want full coverage or just a shade for a specific section of your yard? By taking the time to answer this question, you will have a better idea what size of the shade sail you require. Colour is also an important consideration, if you want to make sure it will complement your exterior. Take into account the colour of your exterior and the existing fixtures and colours of your outdoor space. If you are planning to acquire shade sails for your pool, bear in mind that not all fabric types are suitable for this application. Chlorine from the evaporated pool water can damage certain fabrics, which means you need to steer clear from tarp types and plastic. How long do you plan to leave it up? There are heavy duty shade sails that are designed to withstand a lot of weathering and extended use throughout the year. However, most are best taken down during off season. By taking the time to ask these questions, you are better guided on which shade sail would best fit your specific requirements for your home on the Gold Coast.